Russia is in transition period now, it’s a fact. Government and society try to find common language to determine the ways of Russia’s development in economy, politics, social infrastructure, culture, army. But all that comes to one thing – the national idea. Russia lost it after USSR break-up and new conception hasn’t appeared yet. 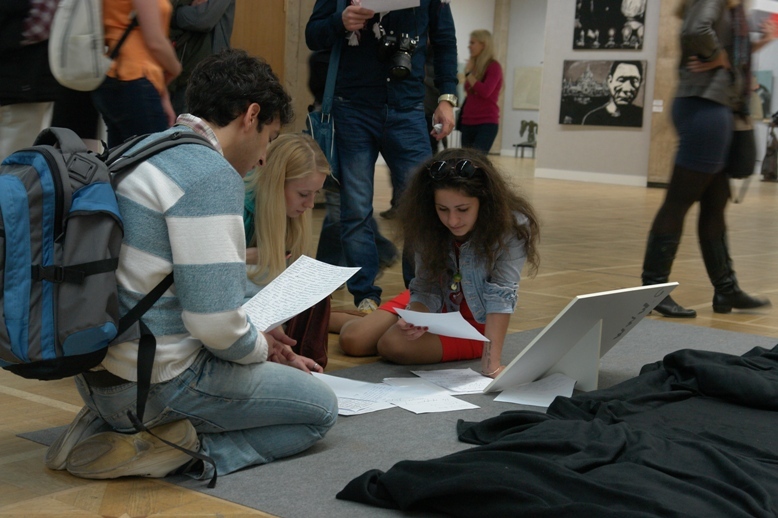 In December, 2012 CF Art Group organized a competition “The best art-conception of the Russian national idea”. Participants had to create the national idea (and we remember it’s high state matter) and think how to represent this idea visually. In such way Russians are involved to this process themselves. Let’s view six art-conceptions of competition’s short-list. Some of them are actually unexpected but corresponding to the reality. 1. Russians have a proverb which is translated like “Don’t step on the same rake twice”, learn your own mistakes and don’t reiterate them. Rake is “grabli” in Russia, hence the art-conception name is “Grablism”. Moscower Sergei Golovko thinks that it’s peculiar to Russians to look before their leap, to create potemkin villages (just for show) and to ignore corruption amounted great scales. The monument is so: large bronze books piled up very high with a rake on the peak. Book piles are like symbol of Russian bureaucratism and senselessness of authorities. 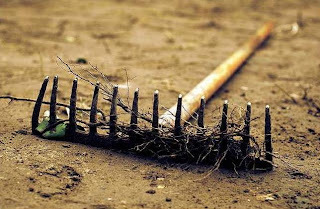 Rake handle has to be broken by permanent head blows. 2. Anton Nidzelnitsky considers that Russian national idea is disavowal of liberal values. Visual image is the Motherland Statue driving the Statue of Liberty away. Author thinks that Russian must refuse of American culture, revert to national traditions and patriot values, remember glorious and heroic Russian history. This idea symbolizes independence of state policy and revival of moral foundations. 3. 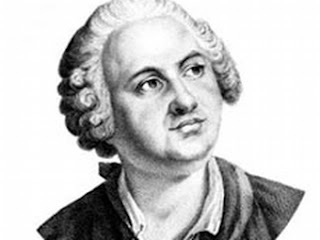 Probably “Mikhail Lomonosov’s portrait painted by petroleum” is the most unusual conception. Its author Vasily Kirsanov thinks that the national idea should be presented by concrete an settled paradigms. Eternal image is image of Lomonosov, the great Russian encyclopedist, humanist, scientist, poet. His outstanding name is strongly connected with reforms and innovations. 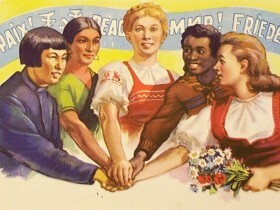 Modern Russian symbol is oil, now petroleum embodies national strength and world importance. 4. “The most important is Man” is national idea offered by Irina Semenova. She’s sure that the highest value of every individual person must be in the centre of Russian national conception. During more than thousand-year of political system here the state never took into consideration people lives. Every good intention (city and ways buildings, reforms, developing) always is accompanied by human losses. This is the main reason of all Russian problems. Author pictures this idea like man sitting on the pedestal with inscription “It’s me, it’s you, it’s everybody”. 5. Pavel Sokolov from Irkutsk offers idea “Man carving out of stone himself”. Author thinks that Russian people need to release themselves out of stone. The heavy hammer is an instrument helping this work. Man doesn’t see himself, his future, he doesn’t know what will be in result. Only persistence, purposefulness and perception oneself like part of great nation will help people create happy future. 6. Russia and Russians are remarkable by their contradictions. There are a lot of nationalities, languages, cultures, religions, a lot of climate and hour zones. Reach and poor, great and foul people live in the neighborhood. Russia permanently tries to find right development way, tries to self-determine, staggers everywhere. “Tilting Doll” is art-conception of Russian national idea offered by Vitaly Saburov. He convinces of that this image reflects the reality very exactly. The results of the competition will be published the 20th of March, winner will get $10 000, his project will be realized and presented on la Biennale di Venezia.